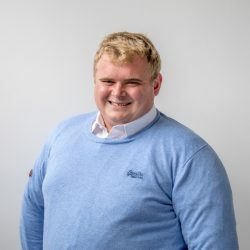 The use of Automatic Milking System (AMS) has allowed the cows to perform to their genetic potential, according to a Co. Tipperary dairy farmer Aidan Power. 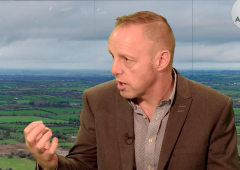 Speaking at a recent Irish Grassland Association and Teagasc co-hosted farm walk on his farm in Nenagh, Co. Tipperary, Power said that this was one of the primary aims he had when investing in a new parlour in 2012. Aidan and Anne Power are currently milking 93 cows in Nenagh, Co. Tipperary. 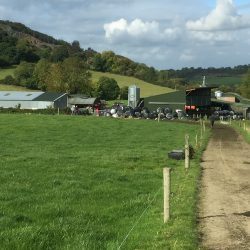 The dairy farm consists of a total of 46ha, with 38 ha assigned to the milking herd. The Power’s farm is a relatively new robotic milking farm, with the first robot installed in 2012. 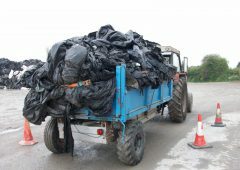 Since this installation, there have been some notable changes and improvements on the farm, said Aidan Power. 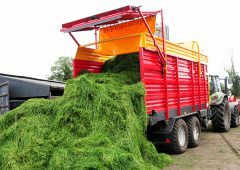 The most notable change occurred in the way the farm manages its grass, and since its conversion it has utilised 12t of grass per hectare. According to Power, he was ‘lazy’ with his grassland management prior to the installation of the milking robots. The move to robotic milking has also allowed the system of cow nutrition to be simplified, said Power. There has also been a substantial increase in both cow milk yield volume and milk solids yield, which has resulted in a corresponding increase in net margin, he said. 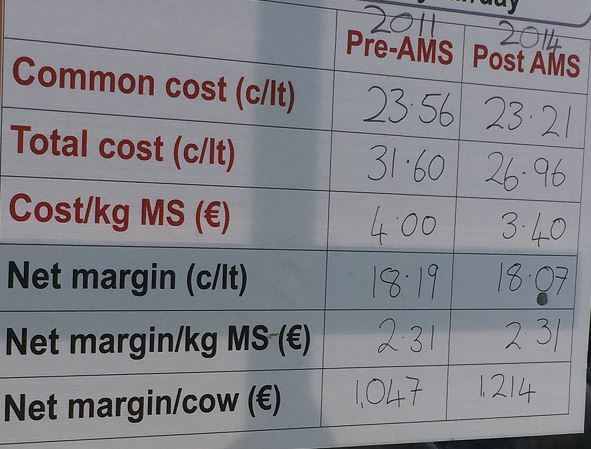 The net margin has increased by €167/cow between now and prior to the installation of the robotic milking system. 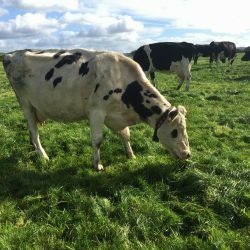 The cows on the farm are all Holstein Friesian with high EBI traits for both milk production and fertility. 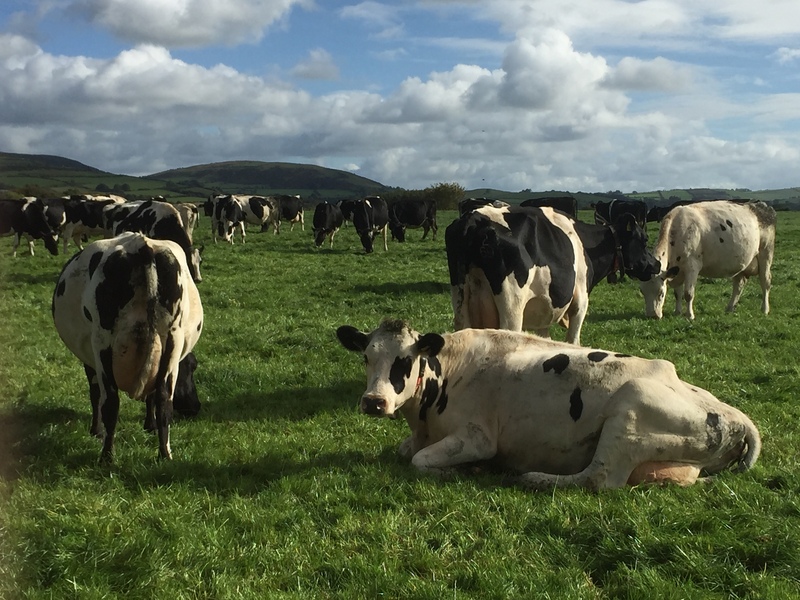 The EBI has been fully utilised on the farm and according to Power, the cows are selected on the basis of 50% milk production traits and 50% fertility traits, he added that he will not use a bull that is negative for milk solids production. 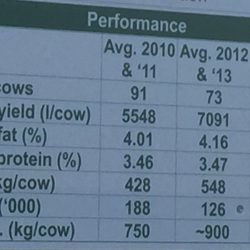 Since the farm began using the AMS system there has been a substantial increase in milk solids production. According to Power, the herd is set to produce 600kg of milk solids per cow this year on a concentrate input of 1t/ cow. 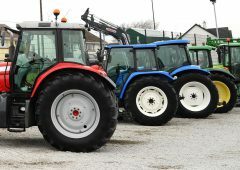 There has also been an increase in the overall volume of milk the cows are producing, with Power adding that he expects average yields to hit 7,500L/head which has increased from 5548L/cow prior to the robots. 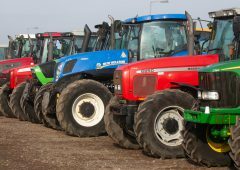 However, during the period of adoption or ‘training in’ the number of cows on farm fell slightly to a low of 73 in 2012-2013, but the farm has plans to increase cow numbers to 120 in the next couple of years by moving replacement heifers out to contract rearers. 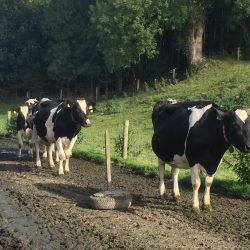 Power also added that the farm has a less than desirable six-week calving rate, but he said that this figure is quite artificial as he has moved the calving date of the heifers forward to allow for easier ‘training in’. 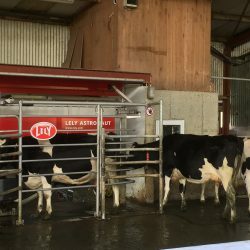 According to Power, the reasons for choosing the Lely Automatic Milking System (AMS) were quite straight forward, back in 2012 the farm was in need of an upgraded parlour and he also wanted to reduce his workload. 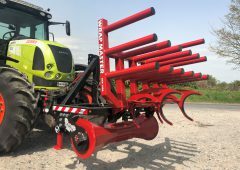 “We wanted to reduce the workload on the farm, as we were not getting any younger, but we also needed to invest in a new milking set-up,” said Power. 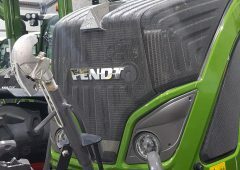 He added that the additional technology in the AMS equipment has allowed his cows to meet their genetic potential, something he felt was lacking when he was operating a conventional parlour.